Golfers around the country may soon have a new addition to their ‘bucket list’, with the promise of rolling dunes, rugged cliffs and panoramic views to entice them. And if that doesn’t do it, how about a state-of-the-art clubhouse, health club and luxury day spa? 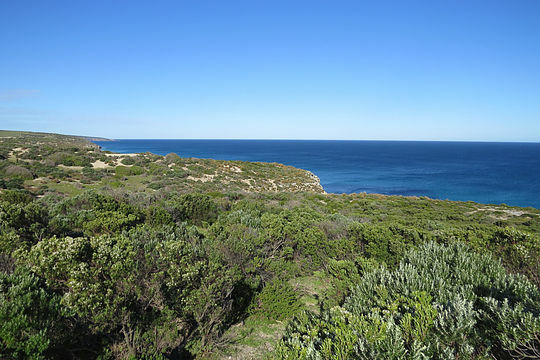 Such is the plan for Kangaroo Island’s new project named ‘The Cliffs’, which will see construction of an 18 hole golf course on a 600-acre parcel of oceanfront land in Pelican Lagoon. The South Australian Government announced recently, that development authorisation had been granted to Kangaroo Island Links Pty Ltd for a revision to a previously-approved golf development. “We acquired the site for The Cliffs because we knew how much potential it had,” said director of the Kangaroo Island Links, Andrew Purchase. The team handed the task of delivering this project comes highly decorated with a resume that includes Cape Wickham Links on King Island, a course that was recently ranked the 24th best golf course in the world, as well as Australia’s No. 1 public-access course. “Like on King Island, the golf site at Pelican Lagoon has tremendous natural potential and is ready made for great golf,” says designer Darius Oliver. Kangaroo Island: South Australia’s New Golf Mecca? King Island: Australia’s Next Golfing Mecca?